Part of the lasting historic impact of the statues is that by their sheer weight and size alone they have been unaffected by theft. But the extent of their enormity has only recently come to light to the public. 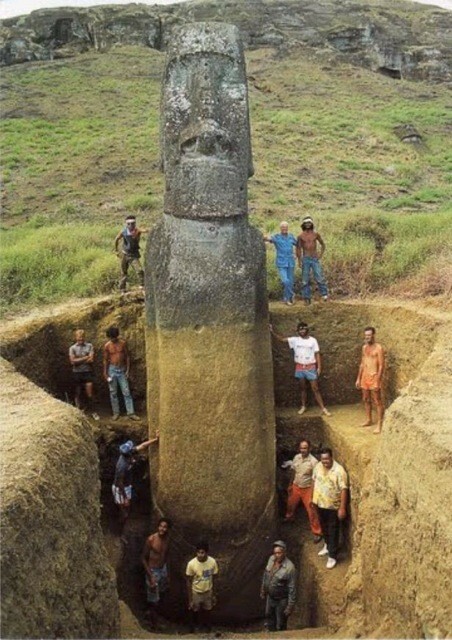 Archeologists have known since 1914 that some of the Moai had bodies, buried deep in the soil, anchoring in the peering heads. 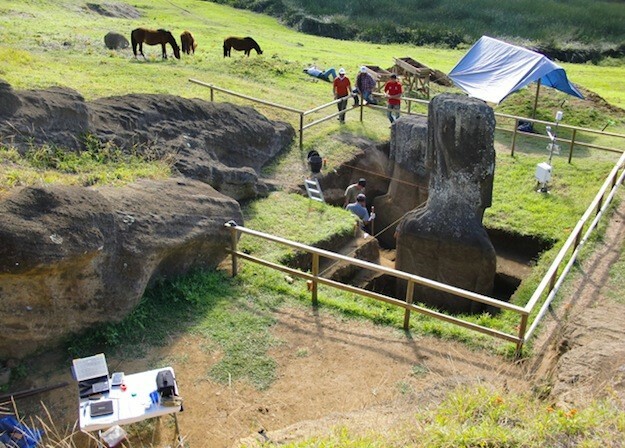 As the archeological excavations began, public interest in the bodies of the Moai spread. 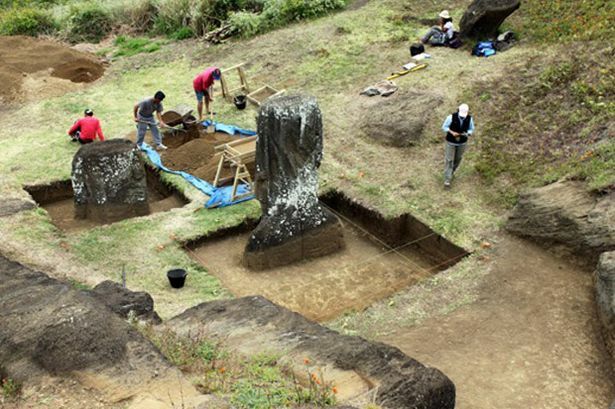 It happened so fast that in 2012, the normally quiet website for the Easter Island Statue Project crashed under the unexpected weight of 3 million visitors. 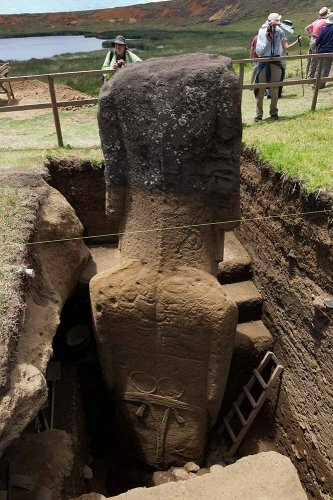 Although they’ve been studied for more than a decade, this excavation is the first that is so easily accessible to the public. 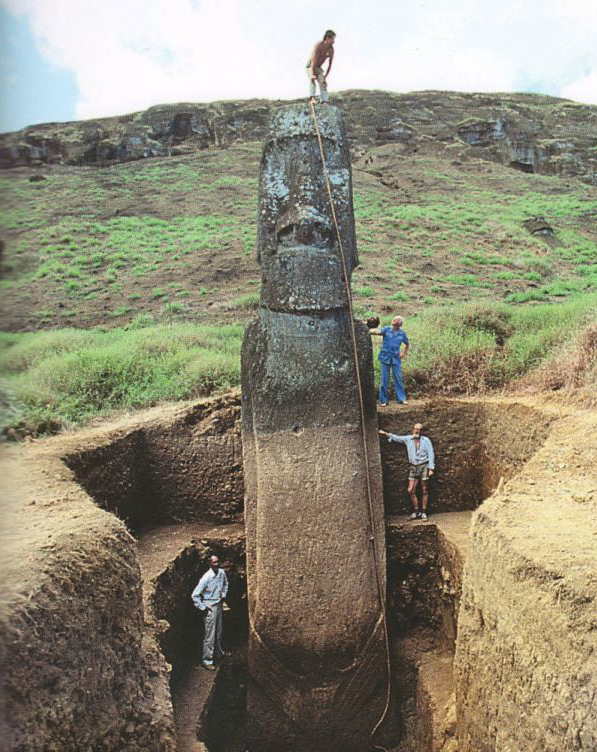 With the uncovering of the bodies of the Moai heads, further petroglyphs have been unveiled, giving a greater backstory to the gigantic statues. 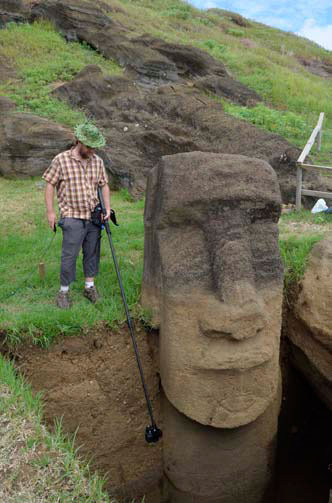 The Rapa Nui island was first visited by Dutch explorers on Easter of 1722. 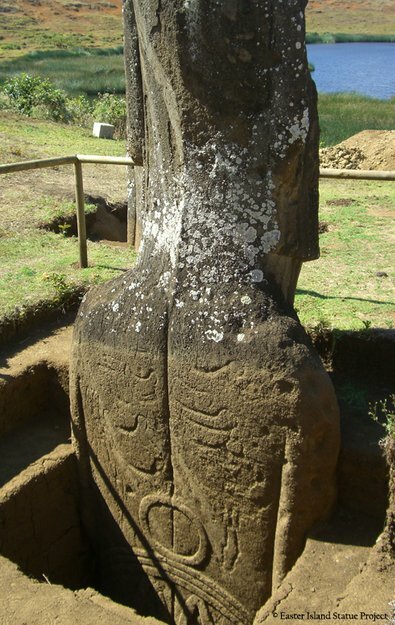 The leader of the expedition, Jacob Roggeveen, gave Rapa Nui its western name.